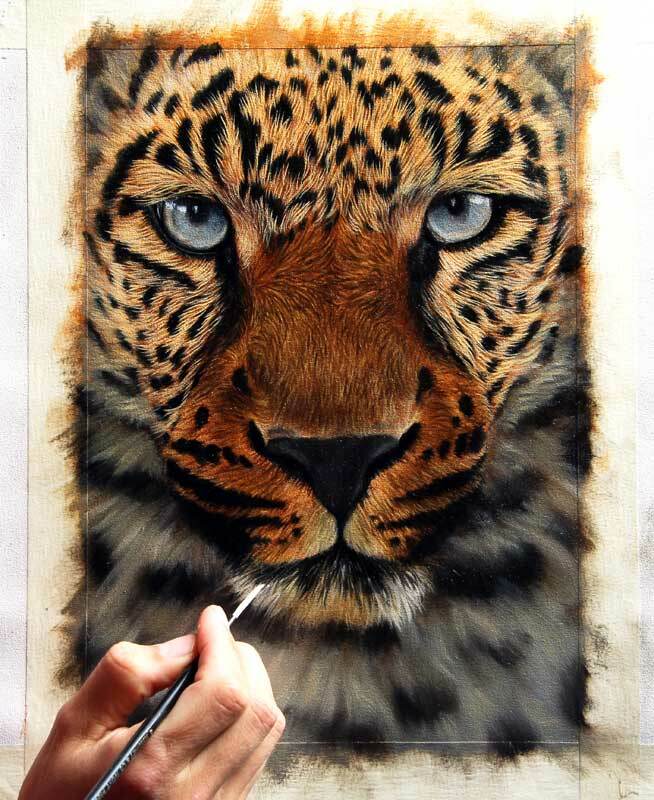 Just started this dramatic Leopard painting, well actually I have gone past the blocking in stage to the beginnings of the detail, added mostly with synthetic rigger brushes. Hope you like it so far. Hope to have it for sale in the next few days. I like it so far, it is going to be beautiful.